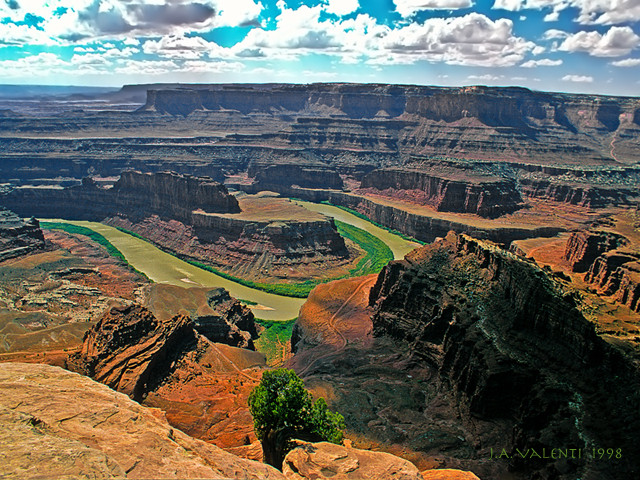 Dead Horse Point State park overlooks a gooseneck bend of the Colorado River. View is towards the southwest and Canyonlands National Park. Dead Horse Point is perhaps Utahs most spectacular state park. Towering 2,000 feet directly above the Colorado River, Dead Horse Point provides a breathtaking panorama of Canyonlands sculptured pinnacles and buttes. Dead Horse Point is on State Route 313, 18 miles off Highway 191 near Moab. 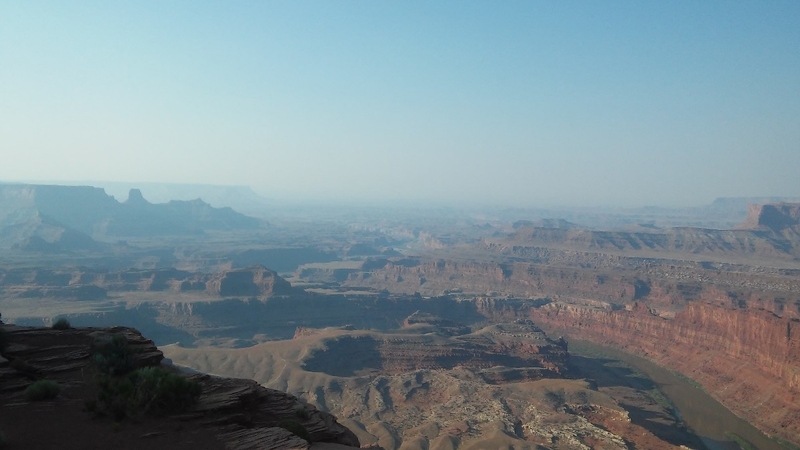 The visitor center, interpretive museum, modern rest rooms, 21-unit campground, sewage disposal station, group camping area, pavilion and large overlook shelter make Dead Horse Point comfortable and informative as well as spectacular. <P>Water is limited. Visitors should fill their recreation vehicle water tanks before coming to the park. Nine miles northwest of Moab on US 191, then 23 miles southwest on Utah 313 to the end of the highway.